Bernhard "Skip" Kümpel produziert seine eigenen Wheels. Ich war schon immer ein Fan derer, die etwas selbst machen, daher habe ich ihn mal über seine kleine Wheelfirma befragt. Bernhard "Skip" Kümpel produces his own wheels. I am a fan of people who make something on their own, so I decided to ask him about his little wheel company. Chris: Wann und wie kamst du auf die Idee eigene Wheels zu machen? wobei ich erst einmal den Formenbau bewältigen musste meine erste Form war aus Aluminium und das hat überhaupt nicht geklappt da der Kunststoff sich nicht richtig entfernen lassen konnte , Die jetzige Form ist eine Kunststoffform zweigeteilt !!!! ein halbes Jahr suche nach den richtigen Kunststoff ( Härte , Abriebfestigkeit , Rebound .....) musste ja auch stimmen. Chris: How did you get the idea to produce your own wheels? BK: that was in 2004, there were no wheels available for freestyle skateboarding. I need wheels with offset bearings so the axle nut does not hit the concrete when standing on the rail. I thought it cannot be too hard to make my own wheels. I had to make a mold first. The first one was made of aluminium and that did not work at all because the material could not be removed evenly. Currently I am using a form made of two parts. I searched for the correct urethane for half a year (hardness, rebound and resiliency had to be right) I was lucky and found the right stuff after about 10 tries, that cost me about 1000 Euros. Chris: Wie viele Wheels machst du so im Monat? Chris: How many Wheels do you produce every month? Chris: Kannst du alle Farben und Härten machen? BK: ich kann 68d ( ist ca 110a was es nicht gibt in a ) 98a 90a 83a 73a an Shore Härte, 98a ist eigentlich die gängigste. 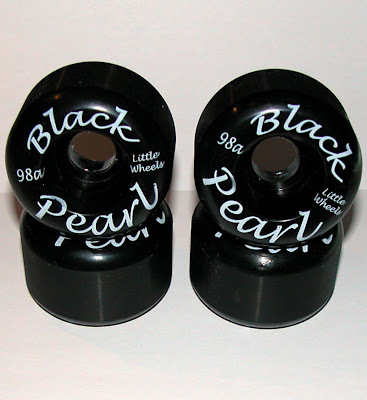 Was ich jetzt erst gestern getestet habe ist eine neue Kunststoff Mischung in 98a aber grösserer Grip auf glatten Untergrund , diese Rollen nenne ich Black Pearl Wheels , super geil !!!! Hat voll Spaß gemacht da was Neues aus zu probieren . Chris: Are you capable of offering every color and hardness? BK: I can do 68 D (about 110A, what is not possible in A) 98A, 90A, 73A. Usually I do 98A. Just yesterday I experimented with a new material that gives you more grip on a smooth surface. I call them the Black Pearl wheels, they are great! They work great and I loved to try something new. Colors are another issue because the hardener has large color differences, that means it is currently hard to make white wheels just because the hardener is very dark. It is no problem making red, blue, green or black. Chris: Glaubst du deine Wheels können gegen industriell gefertigte mithalten? 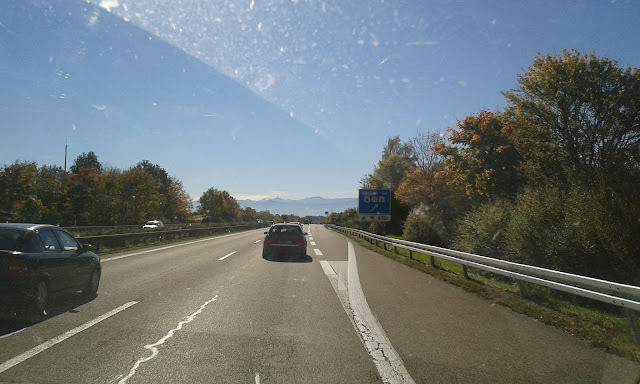 BK: In Bezug auf was ?? Chris: Do you think your wheels can compete with others that are mass- produced? Not in looks, because mine are handmade and there may be bubbles now and then which do not harm th performance but don´t look too good.. Considerinmg the specifications, yes. It is a urethn from the industry, it is very flat spot resistant, grips good on most surfaces, concrete or wood….good rebound. I am talking about the 98A wheels. The 90A have more grip………. Skip can do maaaaaaaaaaaaaaaaaany 360´s!!!!!!!!!!!!! Good - I'll try to get in touch and buy a set to try his "little wheels"
Very interesting, good pic - nice technical post ! Selbstgemachte Bretter sieht man ja ab und an…aber Rollen!! Wenn Skip auch die Lakritzschnecken für Subvert herstellt (gehe mal davon aus) dann habe ich die schon gefahren!...und ich muss sagen „Hut ab“ die waren schnell, griffig und langlebig und hatten diesen eigenen Look! Ich sag nur „Skipfire“ forever! Kann ich nur empfehlen! Sau geile Wheels! Bornhard macht auch geile Shirts!